Nicaragua is a friendly, natural and cultural rich destination for adventurous travelers looking to step off the beaten tourist path. It boasts a gigantic freshwater lake; pristine Pacific beaches; Caribbean islands; one of Central America’s least spoiled colonial cities (Granada); and very few tourists. ©Ellen Barone. All Rights Reserved. 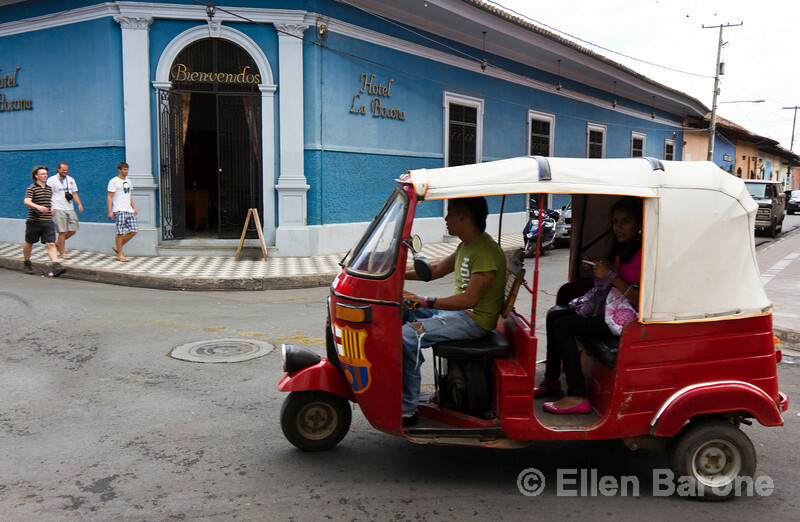 City scene, slice of life, Exterior, Hotel la Bocona, an intimate six guest room boutique hotel in a restored colonial mansion in Granada, Nicaragua.